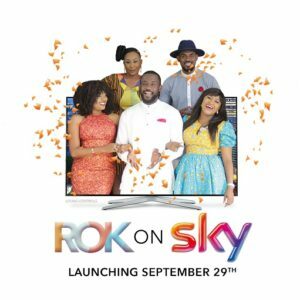 Rok Studios, the award-winning Nigerian film studio, is set to launch a brand new channel on Sky TV in the UK on Thursday 29 September 2016. Headed up by Nollywood actress and producer Mary Njoku, Rok Studios is home to some of Nollywood’s most talked about originals, including Husbands of Lagos, Desperate Housegirls, Losing Control and Cougars. This new channel for Sky customers in the UK will bring the latest and best Rok Studios produced TV shows, movies and magazine shows to Sky customers 24 hours a day, 7 days a week. Rok on Sky will be available as a free-to-view channel for all Sky subscribers – that’s around 10 million homes in the UK. Showing awesome originals, such as Single Ladies, Banks Chronicles and Bloodline, as well as some of the most recent smash hit movies including Walking Away, Aso Ebi and Forever, the channel will be programmed and scheduled in-house from the teams in Lagos and London. Mary Njoku, Rok CEO says: “I am so happy to finally be able to share the news of this UK Sky channel with Rok fans. We have been working towards this for some time, and now we are launching in just a few weeks – we are all super excited. As a production house, we are obsessed with curating amazing African content and telling African stories our way – and with this next big chapter in the Rok story, we can give millions more people the chance to enjoy our movies and TV series. 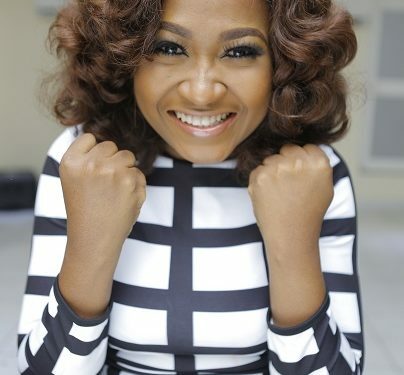 “Rok is fortunate to have worked with so many of the screen greats – the likes of, Mercy Johnson, Mercy Aigbe Gentry, Ini Edo, Desmond Elliot, John Dumelo, to name but a few. These actors are instrumental in bringing our storytelling to life. We are also blessed to have a dedicated, hard working and creative production team, who work tirelessly to ensure we release amazing content. Together, as the Rok family, we are now bringing our beloved Nollywood content onto its biggest platform yet – Sky”. Mary adds, “We have so many Nollywood stars travelling to London to celebrate the launch of our new channel; this is unheard of until now. London won’t know what has hit it – Nollywood is going to take over the city. We’re also hoping to see many of our fans at the Rok on Sky gala launch as well – we are eternally grateful to all the Rok fans who’ve been with us along the way”.